Postal Worker Destroys Absentee Ballots in Trump Swing State-Fiction! - Truth or Fiction? 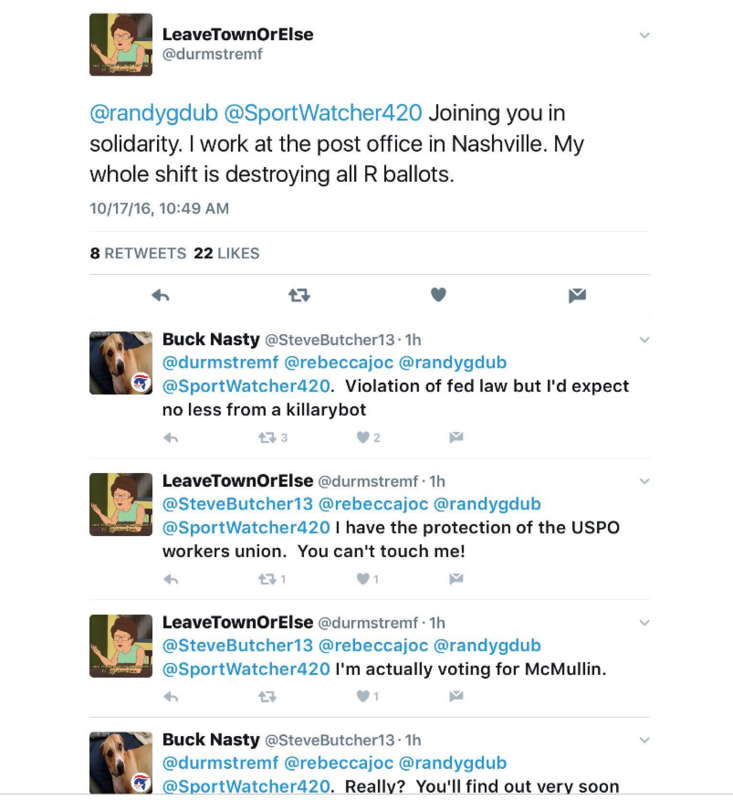 Postal Worker Destroys Absentee Ballots in Trump Swing State-Fiction! 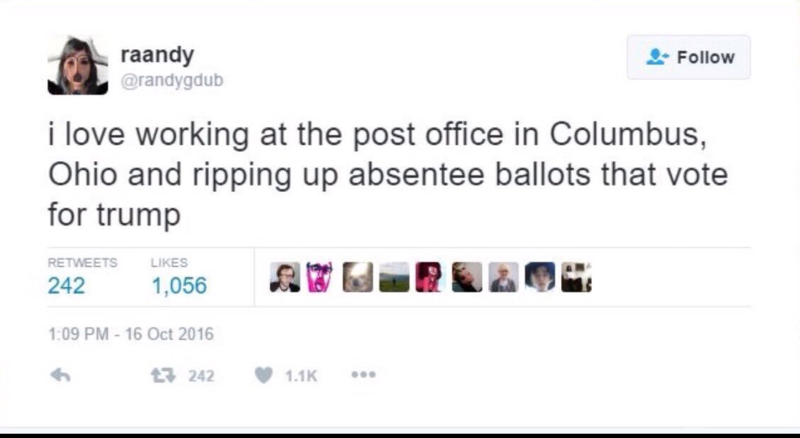 A Twitter user claiming to be a USPS employee stirred controversy with a post about ripping up absentee votes for Donald Trump in Columbus, Ohio. The source of this rumor about a postal worker tearing up absentee ballots for Donald Trump has said it was a joke, and USPS confirmed that the tweets didn’t come from one of its employees. The controversy started on October 17th as Trump ramped up complaints that the election was rigged and blasted Republican leaders for not taking action on “large scale voter fraud happening on and before election day” on Twitter. That statement probably won’t curb widespread speculation and outrage, however. Copycat posts from so-called postal workers cropped up almost immediately. None of them have been proven true. Denzel Washington Supports Donald Trump, Bashes Obama-Fiction!